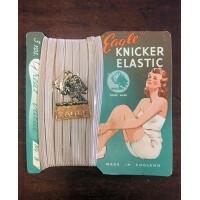 'Eagle' Knicker Elastic, No. 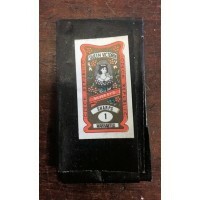 8 - Vintage Stock Original Packaging - with some wear. 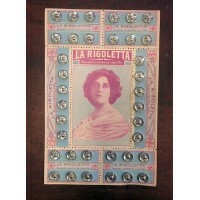 Di..
'La Rigoletta' - Press Stud Card - Vintage Stock Original Packaging - with some wear..
'Sport' - Press Stud Card - "Qualite Superieure!" 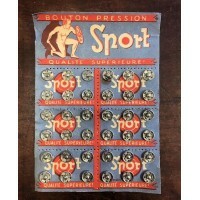 'Sport' - Press Stud Card - Vintage Stock Original Packaging - with some wear. 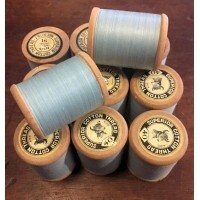 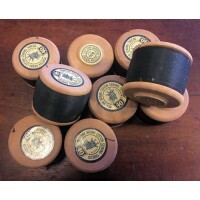 Display..
Black Cotton Sewing Thread - Muntyak Brand - Vintage Stock 9 reels of superior cotton thread. 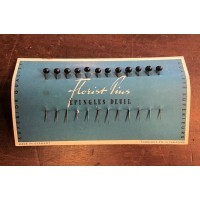 ..
Florist Pins - Black Head - Vintage Stock 12 pins with black shiny head - measure 4cm overall. 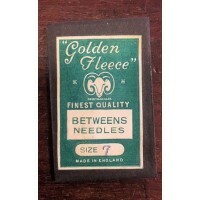 Pi..
Golden Fleece - Betweens Needles - Size 7- Vintage Stock Original Packaging - unopened with..
Golden Fleece - Crewel Needles - Size 7- Vintage Stock Original Packaging - unopened w..
Light Blue Cotton Sewing Thread - Muntyak Brand 11 reels of superior cotton thread. 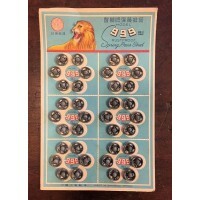 100 y.. 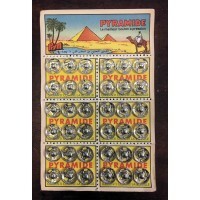 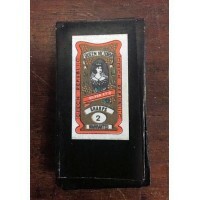 Lion Brand - Spring Press Stud Card - Model 999 - Vintage Stock Original Packaging - with some we..
'Pyramide' - Press Stud Card - Vintage Stock Original Packaging - with some wear. 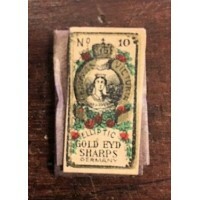 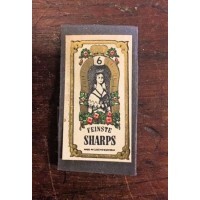 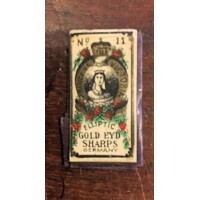 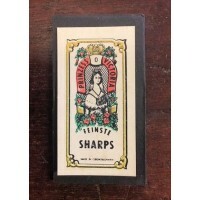 "L..
SHARPS - ELLIPTIC GOLD EYD - Princess Victoria - Size 10 Sewing Needles - Vintage Stock Original ..
SHARPS - ELLIPTIC GOLD EYD - Princess Victoria - Size 11 Sewing Needles - Vintage Stock Original ..
SHARPS - Feinste - Princess Victoria - Size 0 Sewing Needles - Vintage Stock Original Packag..
SHARPS - Feinste - Princess Victoria - Size 3 Sewing Needles - Vintage Stock Original P..
SHARPS - Feinste - Princess Victoria - Size 5 Sewing Needles - Vintage Stock Original Packaging -..
SHARPS - Feinste - Size 6 Sewing Needles - Vintage Stock Original Packaging - unopened with some ..
SHARPS - Silver Eyd - Queen Victoria - Size 1 Sewing Needles - Vintage Stock Original P..
SHARPS - Silver Eyd - Queen Victoria - Size 2 Sewing Needles - Vintage Stock Original P..
SHARPS - Silver Eyd - Queen Victoria - Size 4 Sewing Needles - Vintage Stock Original P.. 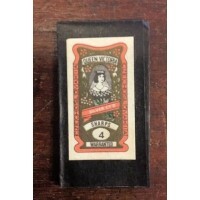 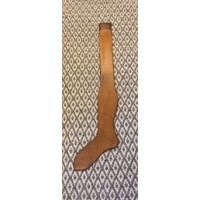 Wooden Sock Stretcher - Old Original Delightful wooden sock strectcher with makers stamp. 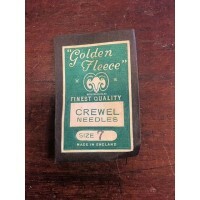 N..
One off items used in our shop & window displays. 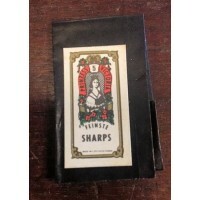 Vintage items used in the creation of our beautiful window & shop displays. 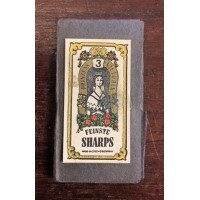 Job lots of items used in our shop & window displays.